“Impulse Control” is a short story currently available only in digital formats. It was originally written for the Kiss Me, Kill Me anthology. 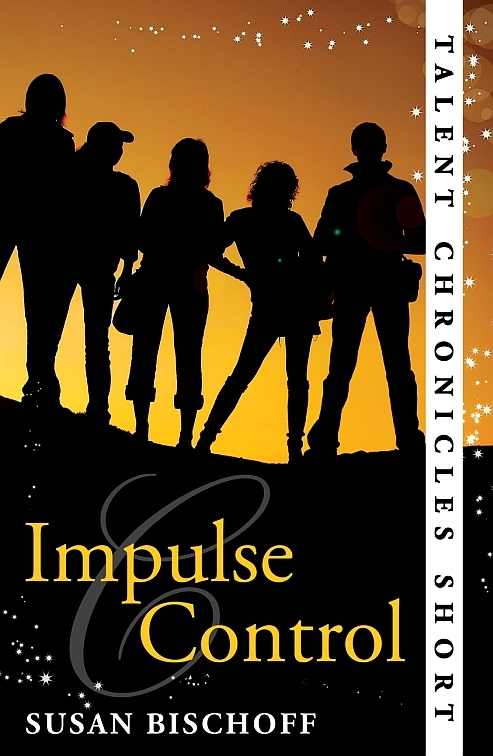 “Impulse Control” is a sneak peek introduction to some characters I love who will be important later in the series. It’s also our first look inside the government-run State Schools. At one such school, a group of Talents must work together to stop a dangerous experiment that’s already killed two of their peers and threatens others. If they’re caught they face Detention, and Detention at a State School has a whole different meaning. Also available on its own as a free download via Smashwords, Amazon, Barnes and Noble, Sony, Kobo, and Diesel. I was wondering if you are going to be making another short story? I’ve read both books and impulse control and I can’t wait for more. But for a new short story the ending is good but what happens not? With their relationship? And do they ever get caught? I’m dying to know!!!! @Maddy- Lots of stuff happens. Right now (in my head), I’m kind of of working on trying to bring these characters into the Talent Chronicles world from the books, and to reconcile the timeline for both groups of characters. Elle, Ethan, Rand, and Anderson become very important later on. Thanks for wanting to know!